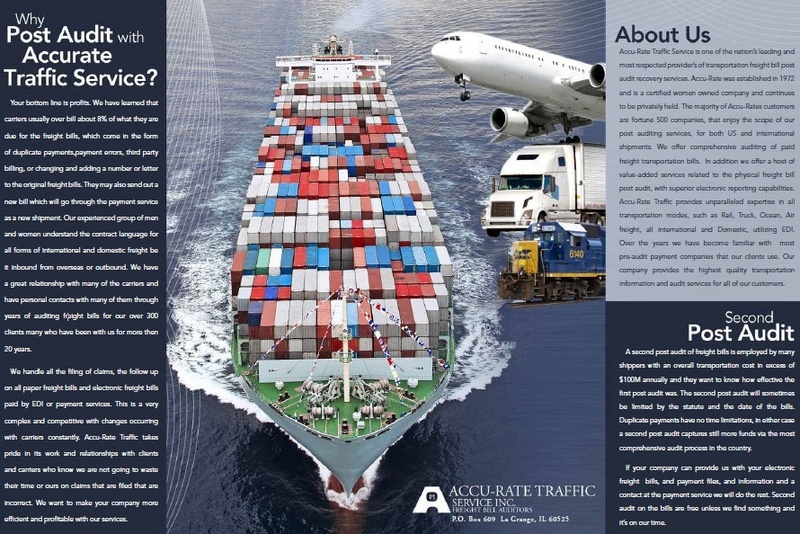 Accu-Rate Traffic Service is one of the nation’s leading and most respected providers of transportation freight bill post-audit recovery services. Working on both US and international shipments, our freight auditors offer a host of value-added services related to the physical freight bill post-audit with superior electronic reporting capabilities. We have been in business since 1972, serving Fortune 500 companies worldwide. Why Choose Accu-Rate Traffic Service? We are a certified women-owned business. We have an average of 17 years of experience on our staff. 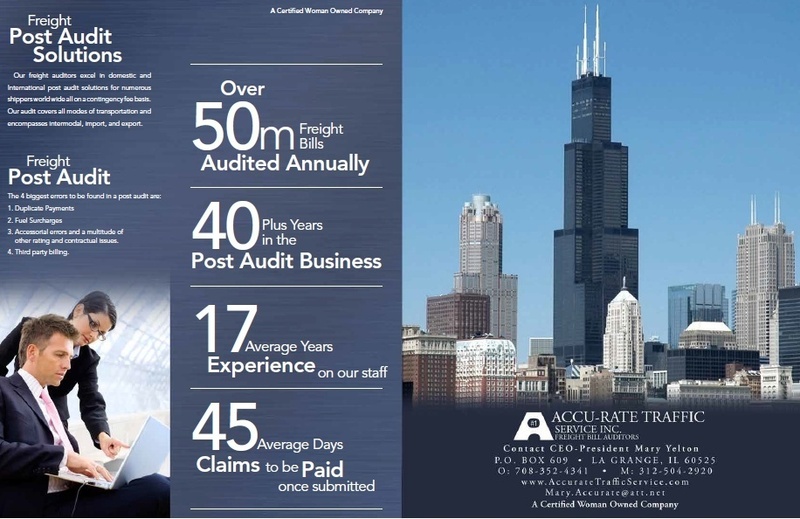 We have been in the post-audit business for more than 40 years. We have over 50 million freight bills audited annually. We require 45 average days for claims to be paid once submitted. A second post audit of freight bills is employed by many shippers with an overall transportation cost in excess of $100M annually and they want to know how effective the first post audit was. The second post audit will sometimes be limited by the statute and the date of the bills. Duplicate payments have no time limitations, in either case a second post audit captures still more funds via the most comprehensive audit process in the country. If your company can provide us with your electronic freight bills, and payment files, and information and a contact at the payment service we will do the rest. We provide a second audit on your freight bill and any discrepancies are done on a commission basis only. To discuss and learn more about our services, please call or email our office today.